I still need to see Gravity, but it is difficult to beat Children of Men. It’s just too all around awesome. I still need to see Gravity as well, but I’m thinking the poll results could be a bit closer next time. Have heard nothing but amazing things about Gravity. I saw Gravity yesterday and now I’m questioning whether that or Children of Men is better. Phenomenal film. I’m a big fan of psychological horror since I like how most of them keep an uneasy suspenseful mood instead of just blood and guts. Wow, good stuff. Glad you enjoyed Gravity so much. I get where you’re coming from with psychological horror. I like most genres of horror, but it’s nice to go with something a little more cerebral from time to time. Second one from me is psychological horror. I’m not scared by gore or jumps or anything like that, but something that can make my brain think “woah”… gets my vote. Yep, you nailed three of my favorite horror comedies as well. I try to recommend Tucker & Dale vs. Evil to everyone I know who enjoys horror, especially. More people need to see that film! That’s a genious poll this week – very difficult, since each horror subgenre is kinda my favorite, but if I had to chose I’d go with psychological. Heh, yeah this is a tough poll alright, especially since so many films can fall under multiple genres. But I’m a big fan of the psychological horrors, too. I’m a fan of psychological horror as well. I don’t love “found footage”, but maybe I would include it on that list as a subgenre. I actually had found footage included in my original list but ditched it since it seems to be the “whipping boy” of the genre. But you’re right, perhaps I should include it anyway. I can add witchcraft, too. Good idea, though I think you’re right in that it is a bit narrow in comparison. I had no idea Cuarón directed the 1998 film version of my favourite novel. I didn’t love the adaptation (there are better) but I appreciated the emotion and psychology invested in it. Y tu mama tambien might be my favourite film but Children of Men is a worthy winner. I haven’t seen Great Expectations, though I was surprised to see Cuaron listed as director as well. Even now, after seeing Gravity, I would rank Y Tu Mama Tambien as my favorite from him. Children of Men deserves top honors for sure. One of the few films I rate 5/5. Gravity is pretty damn good, but not quite to the same level. Very interesting choice for next week’s poll. I think your subgenres cover pretty much anything that may be considered horror. I’m going with psychological! 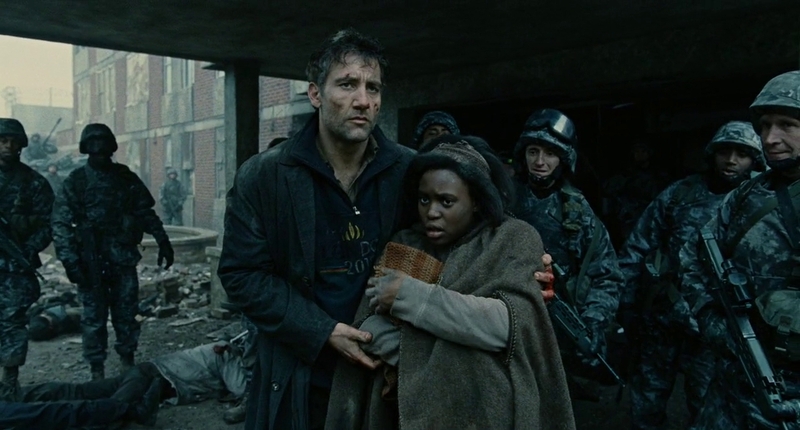 I need to revisit Children of Men. I remember really liking it when I saw it years ago, but it didn’t connect with me quite as much as it seems to have for so many others. Agreed on Gravity. I really enjoyed it, but I’m kind of surprised at the near unanimous praise it’s getting.